What makes an essential mother; Artist Kolonoj. We are beings carved into perfection in the womb of a woman who bends, breaks, stresses, loves, fights, protects and leads us into a world unfit in her eyes to receive such a gift. We are the beings blessed with love that awakens our spirits and makes the woman complete; a mother. Her urge to keep us close to her protective womb never ends as we grow further from her reach. Just as Mary had to let her son go on to be a leader and eventually a savior, our mothers must also let us go and be the gift to the world we were meant to be. Who are we to dishonor the wishes of a woman that transformed her very being so that she can give us life? How do we honor the spirit from which we came? When Mary was told by the angel that she was to receive the son of God and his name would be Jesus, she was frightened and ridiculed for her claim. She did not allow the jeers to determine the love in the womb, because she knew that God had given her a gift and welcomed it in her spirit. What if she said no? What if God chose her to be the vessel in which He would take human form and she said absolutely not out of selfish fear? What would the world be without her contribution? A woman opens her heart and body to receive a soul and form a being that we know as human. Before we take our first breaths she understood the goodness and troubles that were in our spirits. In our delivery in to this place we call our earthly home, she experienced agonizing pain as a precursor to the anguishes that the world will bestow upon us. When the screams and obscenities subsided she welcomed us with a smile and said 'Hi baby' 'Hey suga' 'I love you'. Then wrapped us in the outer womb of her love and presented us to the world as her gift. The outer womb of her love grants us serenity in our strengthening heartaches that other humans or the wicked world chooses to insert in our lives. No matter how far we stray, the discipline of her womb controls how we form and transform before we reach an adult age and are birthed into the world as a complete being. Some women who are blessed to receive a gifted soul are bitter from the evils of the world and unwilling to change their spirits for the sake of their child. The pain that passes through the birth canal is their own and forms a womb of wickedness in which the child grows up to be destructive and derailed. The discipline and serenity sought from the eyes of the wandering soul we know as a child is gone without. Then they too become of the wicked world not a spirit in the form of a human being...and the cycle continues. These women cry out in oblivious wonder and rage about why their child has become of the world. Seldom is it considered that the demons the child wears outwardly are the demons that dwell in the mother; or were welcomed to be implanted in her irresponsibly. Fortunately women who are unable to experience the transition of a spirit to a human are still able to connect to the spirits seeking a womb. We know these women as surrogate mothers that come in the form of aunts, grandmothers, godmothers, preachers, teachers, mentors, and more. They purposefully seek the only lasting connection that could possibly create or reestablish a protective influential womb...love. Some disregard this kind of love, because the woman did not share the special connection from birth. However that is only one phase of carrying a child. All other aspects of motherhood are embraced and implemented the moment the woman decides to accept the spirit. Let us not forget that sometimes the meaning of mother is spelled F.A.T.H.E.R. because the one who bore the child has left voluntarily. He too creates a womb that is to replace the absence of the mother's with strength and effectiveness. He is blessed to understand the love it takes to create such a womb and grow the child to be a better mother or father. In these wombs the child is taught how to endure the world by example and encouragement. Once the child is ready to leave the womb they are successfully born into a new reality called independence. All that is left is the umbilical cord of love that can be tugged at any given moment for guidance and comfort. In death the physical identification of love is lost, but with every decision, hardship, and joy their love is felt by and seen in the living example of the child. When we enter the world it seems that we want to disregard parts of our upbringing that do not fit into our independence. How dare we charge our success and survival only to our spirits when so many sacrificed so that our being could stand on two feet! When we look in the mirror what do we see? Do we only see the features borrowed from our parents that formed us? Do we see the scars left from our birth in to independence? There has to be some recognition that we are who we are because of those that wrapped us in the womb of love. We cannot charge all of our success to the world that did not embrace us initially. Our mother's, in whatever form, had to make us who we are so that the world would respect our presence. The greatest honor that we as children can give them is to be who they were unable to be or rise higher than their expectations. We owe them our lives because they sacrificed their time, their knowledge, the strength, and more wrapped up in a welcomed burden called love. When you awaken after washing the previous worries from your heart, dedicate the day to honoring the spirit(s) that had to bring you through and into the world. I say with all the gratitude and honor in my heart that my days and continued growth are dedicated to these women who created several wombs for me to be nourished and released into the world: Susan (Mother), Jasmine (Sister), Helen (Paternal Grandmother), Carrie (Maternal Grandmother), Evelyn (Great Aunt), Eva (Great Aunt), Sheila (step-mother), Joyce (surrogate mother), Christy (surrogate mother/friend), Shawn (surrogate mother), Kimberly (surrogate mother/friend), Marcia (friend). Whenever your mother is disciplining you, hear the joyful encouragement behind her tone. When the laughs are too loud and the jokes are too corny smile and know that they hold a special place in your heart. When you're discouraged remember that they worked too hard and gave so much of them in you to give up. When you're sad replay every memory to strengthen and bring you joy. When they're gone and you miss them, look to the stars and remember that they promised to hold you a place in Glory. We owe our success, our strength, our happiness, and our growth to our mothers no matter the form they are in. Stand with pride for the transcending and transformation of spirits of the generations before and to come. 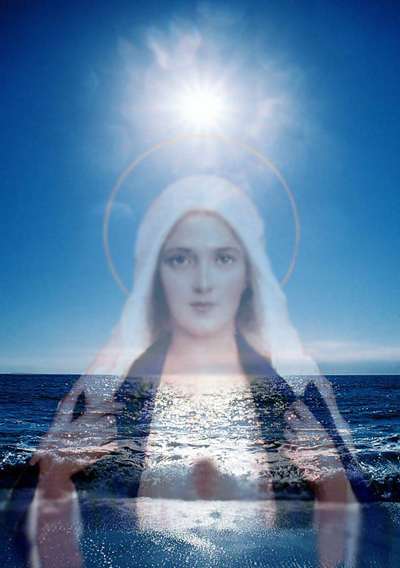 It is because the mother of God opened her spirit that we now know the love of a mother. How will you give thanks this Mother's Day? Please shout out the name of the mother(s) you cherish below.